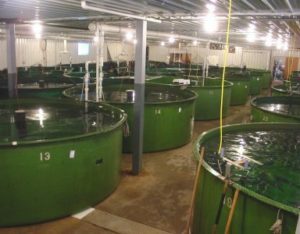 Why is the first US genetically engineered salmon farm in Indiana? 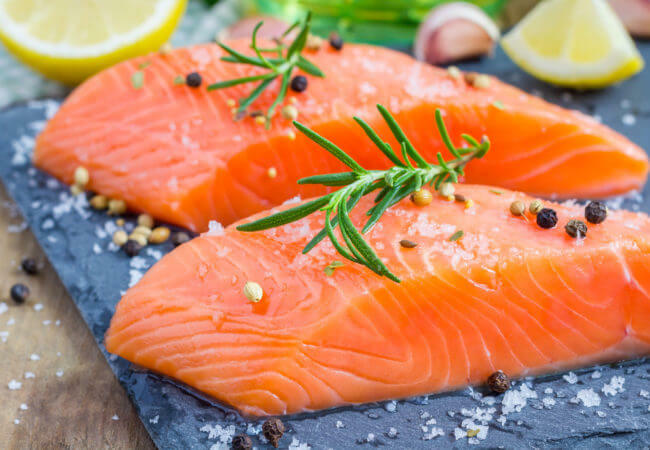 A Massachusetts-based company [in March 2019] cleared the last regulatory hurdle from the Food and Drug Administration to sell genetically engineered salmon in the U.S. Animal genomics expert Alison Van Eenennaam, who served on an advisory committee to the FDA to evaluate the AquAdvantage salmon, explains the significance of the FDA’s move and why some have criticized its decision. 1. How is AquaBounty’s salmon different from a conventional salmon? 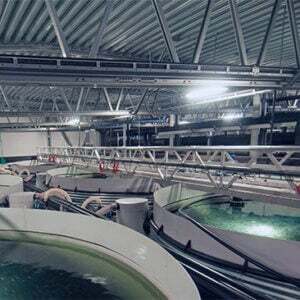 The main difference is that AquaBounty’s AquAdvantage salmon grows faster than conventional salmon, and therefore gets to market weight in less time. This is desirable for fish farmers because it means the fish require less feed, which is one of the main costs in aquaculture. 2. The Food and Drug Administration approved AquAdvantage salmon in 2015. Why couldn’t it be sold in the United States until now? 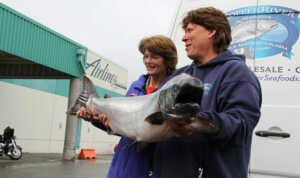 Alaska Senator Lisa Murkowski (left) says USDA’s bioengineered labels aren’t clear enough for GMO salmon. Soon afterward, the U.S. Department of Agriculture was tasked with developing the “National Bioengineered Food Disclosure Standard,” also known as the GMO labeling rule, which became effective on Feb. 19, 2019. This rule requires the fish to be labeled as bioengineered food. In response, the FDA deactivated the 2016 import alert that prevented the genetically engineered salmon from entering the United States, clearing the way for its sale here. The fish had already been approved in Canada in 2016, and has been sold there since 2017. 3. Is there evidence that eating genetically engineered salmon could be harmful to people’s health? No. The FDA evaluated the fast-growing salmon and concluded that it was as safe as conventional salmon. 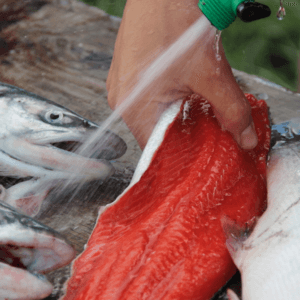 The agency determines safety by compositional analysis – basically, grinding up genetically engineered salmon and control fish samples and comparing them. In these analyses, the genetically engineered salmon and wild Atlantic salmon were not found to differ. 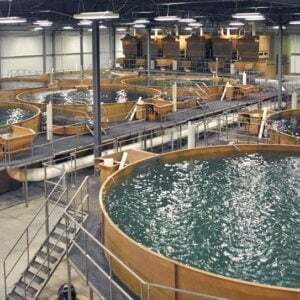 Currently it is growing its engineered fish in land-based freshwater tanks in an FDA-inspected facility in the highlands of Panama. This limits their interaction with wild stocks of fish. They are also being raised to be all-female and triploid. Triploidy means the fish have three complete sets of chromosomes rather than the usual two. Triploidy renders females essentially infertile. This article originally ran at The Conversation as The science and politics of genetically engineered salmon: 5 questions answered and has been republished here with permission.